Todd is the Founder and Managing Partner of SDC. He has spent his entire career building, operating and investing in IT and communications infrastructure businesses. Prior to forming SDC, Todd co-founded Sentinel Data Centers in 2001 and led the company as its co-CEO since its founding. During Todd’s leadership of Sentinel, the company emerged as one of the largest private data center platforms having developed over two million square feet of enterprise-class facilities. Sentinel’s clientele included numerous Fortune 500 enterprises ranging from “hyperscale” cloud providers to the largest global financial institutions, pharmaceutical companies and health care providers. Sentinel twice built ground-up, multi-asset platforms that it ultimately sold to public data center REITs, first in 2010 via a $375 million portfolio sale to Digital Realty Trust and then in 2017 through a $490 million sale to CyrusOne. 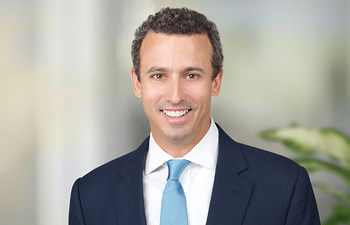 Todd began his career at investment bank Wasserstein Perella & Co. focused on technology and media investments for the firm’s affiliated private equity fund. Todd is a graduate of Dartmouth College. He is involved with multiple non-profits and has served on numerous corporate and non-profit boards.